Hidup Adalah Proses Belajar: Spesifikasi Sony Ericsson Vivaz Pro | Ponsel Sony Ericsson Terbaru. 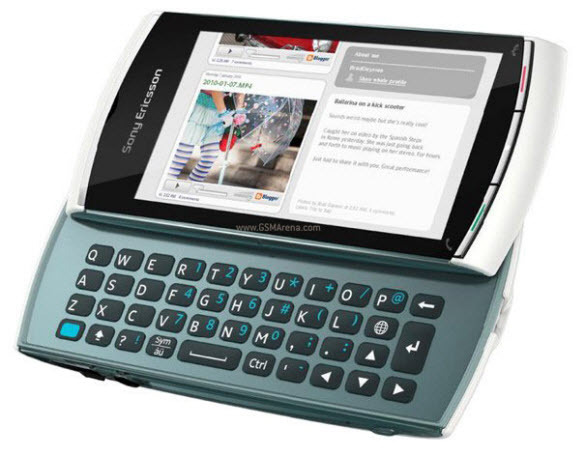 Spesifikasi Sony Ericsson Vivaz Pro | Ponsel Sony Ericsson Terbaru. 1. Status : Dipasarkan Kuartal kedua 2010. 2. Jaringan : Quadband GSM dan 3G/HSDPA. 3. Dimensi : 1.09 x 5.2 x 1.5 cm. 4. Berat : 117 gr. 5. Layar : TFT touchscreen, 16 M colors, 360x640 pixels, 3.2 inches. 6. Kamera : 5 MP, 2560x1920 pixels, autofocus, LED flash, Video HD 720p. 7. Memori internal : 75 MB. 8. Memori eksternal : microSD(TransFlash) up to 16 GB, 8 GB included. 9. Data transfer : GPRS Class 10, EDGE Class 10, 3G HSDPA. 10. Konektivitas : WLAN Wi-Fi 802.11 b/g, DLNA, bluetooth v2.1 with A2DP, microUSB v2.0. 11. Operation System : Symbian Series, 5th edition. 12. CPU : 720 MHz, PowerVR SGX graphics. 13. Messaging : SMS, MMS, Email. 14. Browser : WAP 2.0/xHTML. 15. Baterai : Standart baterry, Li-Po. 16. Fitur lain : Stereo FM radio with RDS, Games, GPS with A-GPS support, Touch-focus, geo-tagging, face and smile detection, Java MIDP 2.1, Gesture control, Google Maps, Facebook and Twitter apps, YouTube and Picassa integration, WMV/RV/MP4/3GP video player, MP3/WMA/WAV/RA/AAC/M4A music player, Organizer, TV out (VGA resolution), Voice memo, T9, QWERTY keypad, Accelerometer sensor for auto-rotate, Full QWERTY keyboard, Scratch-resistant surface.